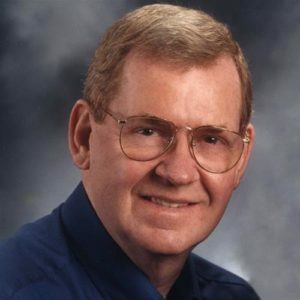 Saturday, February 17, 2018 ~ 11:00 a.m.
Saturday, February 17, 2018 ~ 10:00 – 11:00 a.m.
Bobby R. York, 80, of Cedar Rapids, IA died Tuesday, February 13, 2018 at St. Luke’s Hospital in Cedar Rapids, IA. Survivors include a son, Terry (Deb) of York, Nebraska; two daughters Jeanette (Mike) Kipina of West Chester, Ohio and Sandra (Mike) Bills of Cedar Rapids; two brothers Clifton (Betty) of Washington State and Merle (Susan) of Arkansas. He is also survived by six grandchildren, Sydney and Abigail York, Andrew and Alex Kipina, and Haley and Kelsey Bills; and several nieces and nephews. He was preceded in death by his wife, Ruth D. York, four brothers and two sisters. Bobby was born on June 23, 1937 in Sasakwa, Oklahoma, the son of Robert and Mary Hill York. He married Ruth D. Stewart on October 22, 1960 in Lincoln, NE. Ruth passed away in 2015. Bobby graduated from Coe College in 1986 and earned a B. A. in mathematics and computer science. He was the Plant Manager at Duane Arnold Energy Center for several years and later he was the Corporate Nuclear Maintenance Manager at the T.V.A. in Tennessee. Bobby enjoyed working on the computer and the time spent with his friends and beloved family. He was a lifelong learner and proudly served in the Air Force during the Korean War. Bobby will forever be remembered for being a wonderful husband, father, grandfather and friend whose memory will be cherished by all who knew and loved him. To my big brother Bobby, you are missed. I hope to see you in Heaven one day. May you rest in peace. And to your lovely family, keep the faith. Jesus is coming soon, and there will be a grand reunion of us all. Until then, you are in our prayers and thoughts.